The classic Valley Tiger non-coin table. Able to stand up to the toughest environment, but still providing a tournament-quality play experience. 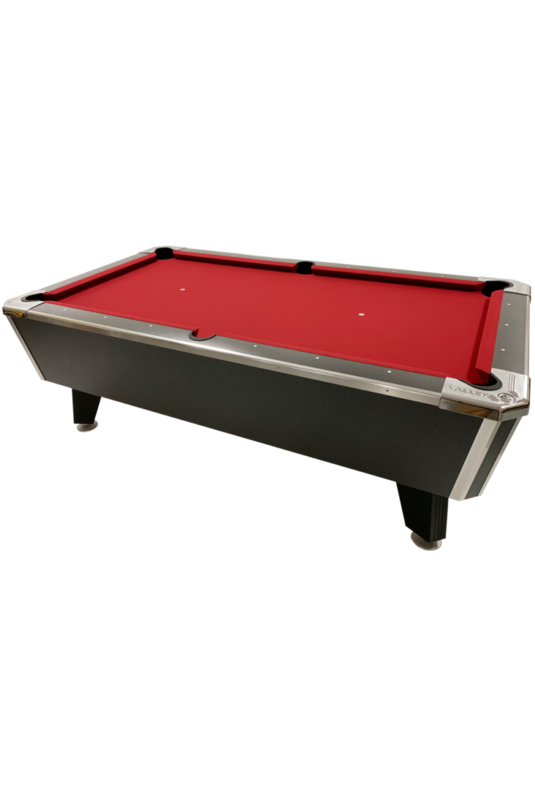 Perfect for homes, game rooms and locations where coin play may not be a necessity; but durability, great looks and tournament quality play are a must. Other than the missing ball trap, cue separator and coin chute, Tiger offers the same play experience as our tournament-tested coin models! Available in 6.5, 7ft, and 8ft sizes. 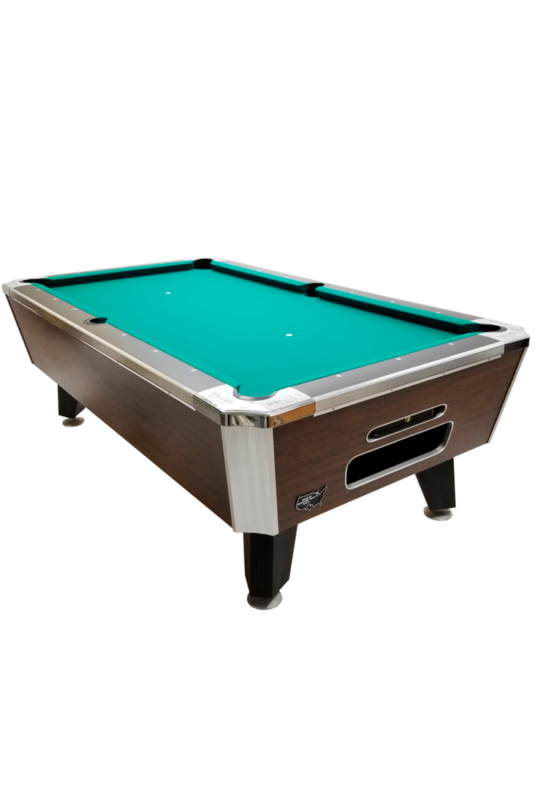 Now available in a non-coin model: the tournament-tested Valley Panther is perfect for homes, game rooms and locations where coin play may not be a necessity; but durability, great looks and tournament quality play are a must. As found on our popular Panther ZD-11 models, Panther Home features our warm Highland Maple finish, contrasting black top rails with high-visibility white sights, concealed-screw side and end trim, and player-friendly flush-mount corners and pockets. The Panther Highland Maple Home model comes in 6.5ft, 7ft, and 8ft lengths. 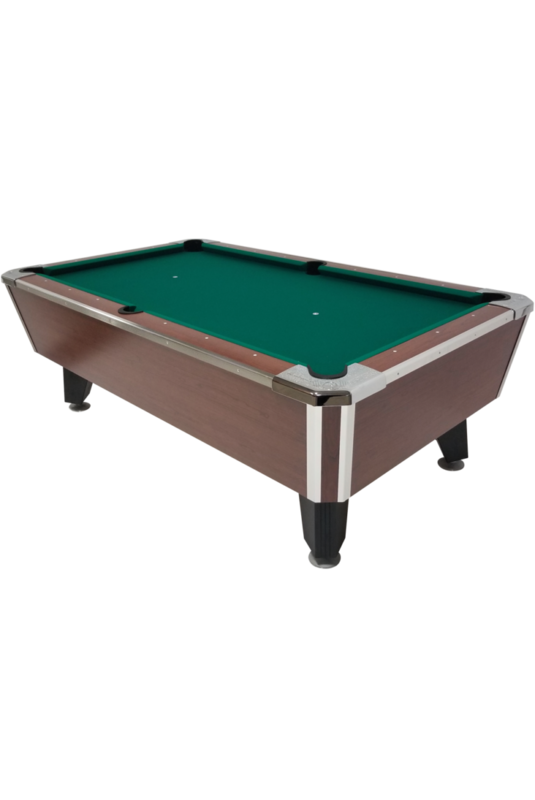 Now available in a non-coin model: the tournament-tested Valley Black Cat is perfect for homes, game rooms and locations where coin play may not be a necessity; but durability, great looks and tournament quality play are a must. As found on our popular Panther ZD-11 models, Valley Black Cat Home features our black chromatic finish, with high-visibility white sights, Championship burgundy cloth, concealed-screw side and end trim, and player-friendly flush-mount corners and pockets. This table is available in 6.5ft, 7ft, and 8ft lengths.